Cutting the hedges in the garden is always a bit of a thankless task and one I’m never too enthused about. My biggest bugbear has always been the weight of the hedge trimmer, trailing cords and extension cables, so when we had the opportunity to product test the new cordless Gtech HT20 Hedge Trimmer I was very keen to put it through its paces. The hedge trimmer is powered by a lithium-ion battery and took about 3 hours to charge. 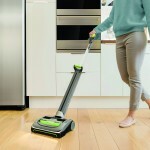 It’s easy to fit into the trimmer and has a 4 light indicator so you know how fully charged the battery is. Given that this is a pretty powerful tool it is remarkably lightweight for a hedge trimmer, weighing in at just 2.25kg (about 5lbs). The product assembly was very straightforward and the user guide shows very clearly what goes where. A safety power trigger means that you can’t accidentally turn it on. The blade is 31.5 cm (about 1 foot) in length and made quick work of branches up to 15mm thick (about half an inch). 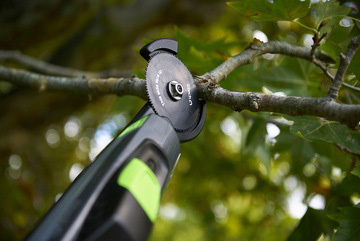 If you have thicker branches to cut you can opt for the optional branch cutter, a really handy accessory that means that you can reach those tricky thicker branches without having to over-reach, get the ladder out or use a saw, that will cut through branches up to 6cm (about 2.25 inches) in diameter. The long reach handle means that wobbling on the stepladders is a thing of the past as you can reach the tops of tall shrubs with ease. 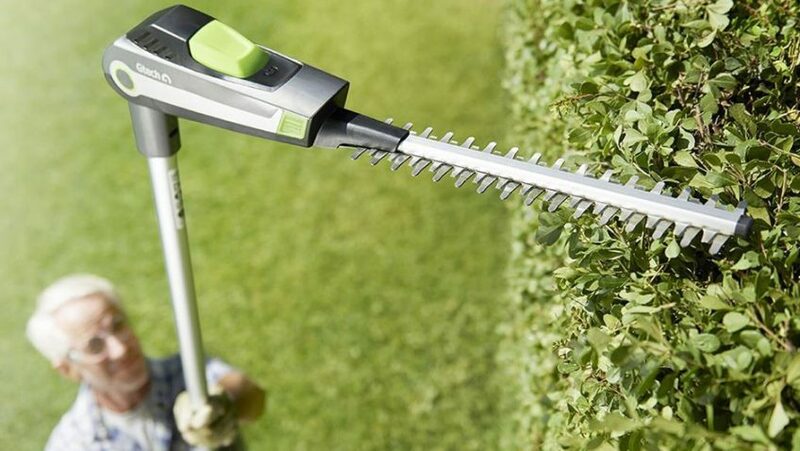 The cutting head is easily adjustable through 135 degrees and locks into place so that you can cut the sides, tops and low edges of the hedge leaving a neat finish without worrying about the head moving whilst in use. The ability to change the cutting head position to cut low hedges also saves bending, which is a real bonus. 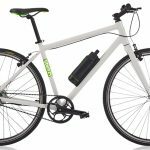 Gtech state that the battery life is 45 minutes but this does depend on how much trimming you do and what the hedging is. I trimmed the top and front of about 25 m (about 80 feet) of mixed shrub hedging and the battery was still indicating 50% charged when I’d finished. Spare batteries are available if you do need a back up and the battery is also interchangeable with the new Gtech cordless grass trimmer. 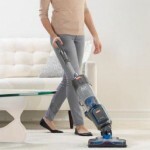 The trimmer comes with a 2-year guarantee and Gtech’s usually 30 day guarantee offering a replacement or refund if you’re not happy with the first 30 days. The handle is easy to grip and feels very comfortable to use although the ability to reduce the shaft length would be useful for working up close (perhaps something for a future model?). It did feel a little heavy by the end of the job but this is a hedge trimmer after all and is such a huge improvement on my previous electric trimmer. The whole job took a fraction of the time it usually takes and I was delighted with the results. Will I be offering to cut my neighbours hedges? Well no, but I will be recommending the Gtech HT20 Hedge Trimmer to them.